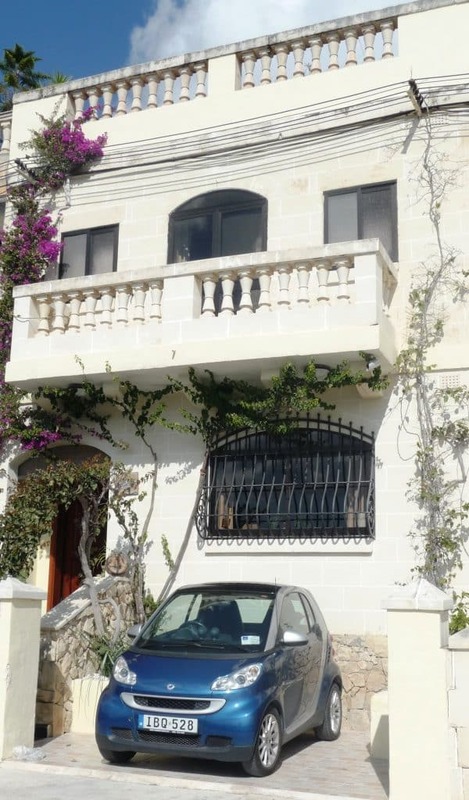 Rent a room at Looza Residence next to the University Malta. Short term and long stay rates including all utilities. Short stay rates start at €14.50 per night, discounted monthly rates available for semester bookings. Ideal for university students and medical electives. centrally located next to the main campus and teaching hospital. Our Looza residence is the ideal accommodation for Erasmus exchange students and medical electives. Tenants are offered accommodation on the top floor floor of our home where there are just two spacious twin rooms, a guest kitchenette with all amenities, a shower room and a lovely sun terrace. At Looza we pride ourselves on offering a high quality friendly experience. When you get a flatshare at our residence you will enjoy a modern, comfortable clean home with a friendly atmosphere. Both rooms are bright and airy and have natural light. They are spacious and tastefully furnished and equipped with ceiling fans. On the same floor, there is a kitchenette, a shower room and a large sun terrace overlooking the valley. Rates are reasonable and utilities (water and electricity) are included. Linen and towels are also provided at no extra charge and a complimentary laundry service is available too. Only the use of the air-conditioning unit is on an extra pay per use basis, if you would like to make use of it. The kitchenette is equipped with 4 gas burners, a microwave oven, fridge/freezer, kettle, toaster, coffee maker and all necessary pots, pans, utensils and crockery for cooking. For those who wish to connect to the internet with their own laptop, tablet or smart phone, a free WIFI internet connection is available throughout the house. have a look at more pictures on our picture gallery. Looza is a spacious pet-free terraced house on 3 floors. Our guests accommodation is located on the top floor of our home where we have two well sized rooms (around 16 m² each.) Each room is furnished with 2 single beds, a wardrobe and desk. On the same floor we also have a separate guest kitchenette for those who prefer to do their own cooking, a shower room and a large sun terrace with deckchairs, barbecue and smoking area. Access to the flat share is through the residence’s main entrance and the guests use a front door key to ‘come and go’ as they please. For those who prefer independence we offer the self-catering option using the facilities of our well equipped guest kitchenette. Whilst for those who would like to have more contact with the family and wish to practice their English we recommend sharing breakfast and dinner from Monday to Friday. Hundreds of Satisfied Guests at Looza Residence. Looza is located in a central town called San Gwann making it the ideal ‘pied-a-terre’. Erasmus students coming for a semester or academic year at the University of Malta and also Medical electives will find the location unbeatable. Looza is at a short walk (7 min) down a country lane from the University of Malta and state of the art hospital Mater Dei. No waiting for buses or depending on the timetable of any shuttle bus or public transport, which means a saving on bus fares and time for students. With one of the main bus stops by Mater Dei and the University just down the road from Looza, the Island and its many sites are easy accessible by public transport. It’s easy and cheap to get round from here. The Meekers are service-minded. Both Stefie and Georges have worked in Malta’s hospitality sector. Ask them what you cannot find and they’ll happily guide you. 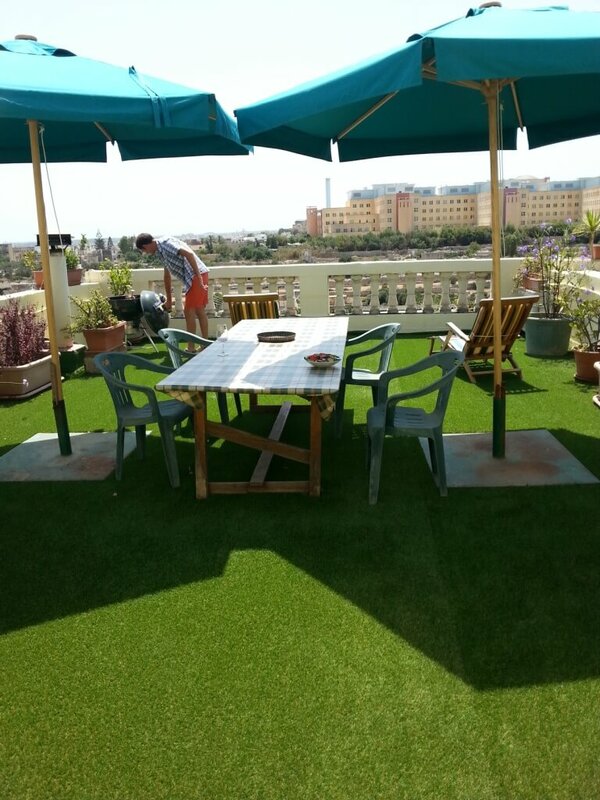 The flatshare is fully licensed by the Malta Tourism Authority. Have a look at our testimonials to see what our past guests have to say. Ready to book your flight to Malta? Apply for your bus card before your arrival in Malta to benefit from reduction in fares from the very first journey. Reserve your room at Looza, we look forward to welcome you very soon!